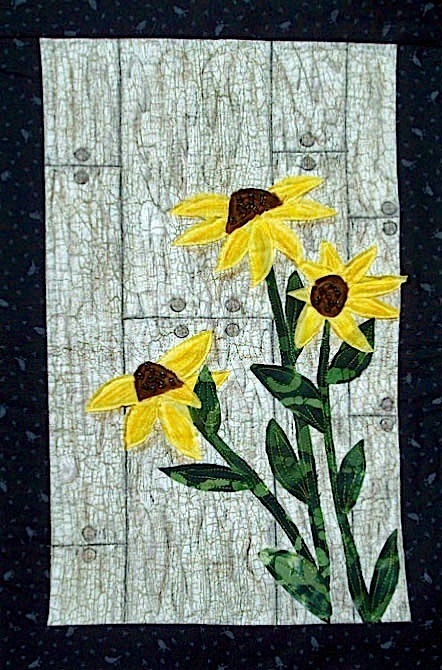 Artist Statement: I am a fiber artist working mostly with hand dyed and batik fabric and beads of all sorts. Nature is my primary subject, with a particular liking to landscapes. Often times , there is nothing planned until I start laying fabrics out and then the subject takes shape. I also design jewelry and participate in a variety of other art mediums when the creative bug bites. Publications: I have been in several publications including, Quilting Arts, and Art Doll Quarterly. Exhibits :I have multiple awards for my work, including CDAA~Canadian Doll Artist Association, as well as several Voter's Choice for various competitions.